For patients with moderate to severe atopic dermatitis inadequately controlled with topical agents, nemolizumab — an anti-IL-31 receptor A humanized monoclonal antibody — may be a safe and effective alternative, according to a study published in the Journal of Allergy and Clinical Immunology. Kenji Kabashima, MD, PhD, of the Department of Dermatology at Kyoto University, and an international team of researchers conducted a 2-part phase 2 trial to determine the efficacy and safety of subcutaneously injected nemolizumab to treat atopic dermatitis. The study comprised a 12-week, randomized, double-blind, placebo-controlled analysis (part A) followed by a 52-week, double-blind extension (part B). In the first portion of the analysis, participants were randomly assigned to receive nemolizumab administered subcutaneously in 4 dosages (01. mg/kg, 0.5 mg/kg, or 2.0 mg/kg every 4 weeks, or 2.0 mg/kg every 8 weeks) or placebo. During this phase of the study, patients receiving nemolizumab demonstrated improved pruritus, dermatitis, and sleep. Participants who completed part A were then eligible to participate in part B. They were treated with 1 of the 4 previously mentioned dosages of nemolizumab. Patients who had received placebo in part A were randomly assigned to receive nemolizumab 01. mg/kg, 0.5 mg/kg, or 2.0 mg/kg every 4 weeks. 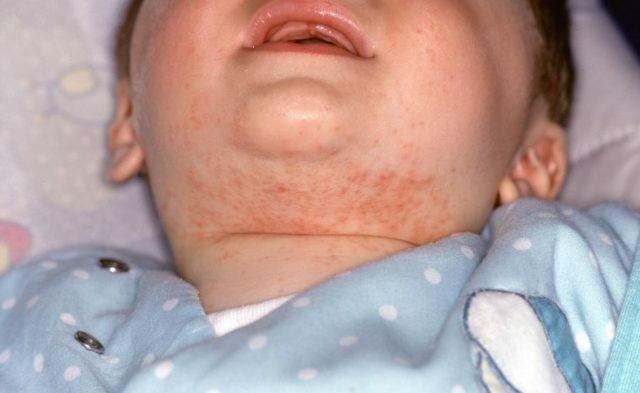 The main outcome for part B was improvement (reported as percentages) in pruritus visual analog scale and dermatitis score (Eczema Area and Severity Index) compared with baseline values. Improvements and analog scale scores are inversely related. Of the 264 patients enrolled in part A, 216 completed the study; 131 of 191 participants completed part B. Compared with baseline values, pruritus visual analog scale scores improved for individuals receiving nemolizumab in part A (n=153 patients). Scores either leveled or improved 12 to 64 weeks after treatment initiation, with greatest improvement seen in individuals treated with 0.5 mg/kg every 4 weeks (-89.6%). After the 64-week analysis, baseline comparisons for nemolizumab 0.1 and 2.0 mg/kg administered every 4 weeks resulted in -73.0% and -74.7% pruritus visual analog scale score improvements, respectively; pruritus visual analog scale scores improved by -79.1% in patients administered nemolizumab 2.0 mg/kg every 8 weeks. The greatest improvements in dermatitis scores from baseline were seen in patients receiving nemolizumab 2.0-mg/kg every 4 weeks (-78.9%). For those administered nemolizumab 0.1 mg/kg and 0.5 mg/kg every 4 weeks, Eczema Area and Severity Index scores improved by -68.5 and -75.8%, respectively; nemolizumab 2.0 mg/kg administered every 8 weeks resulted in -69.3% improvement from baseline. The investigators did not identify new safety concerns, noting at least 1 adverse event in patients taking nemolizumab in part A and B of the study (83% and 89%, respectively) or at least 1 treatment-related event (37% and 48%, respectively). Nasopharyngitis, exacerbation of atopic dermatitis, and elevated blood creatine phosphokinase level were the most common adversities reported in participants taking nemolizumab (27%, 25%, and 11%, respectively). Disclosure: Funding for this study was provided by Chugui Pharmaceutical. Please refer to the original article for a full listing of faculty disclosures.